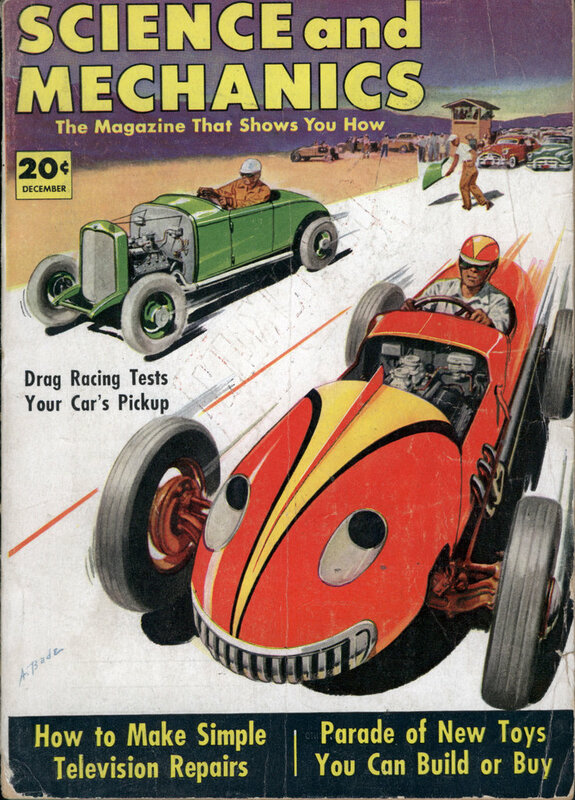 Have some REAL FUN with your car. 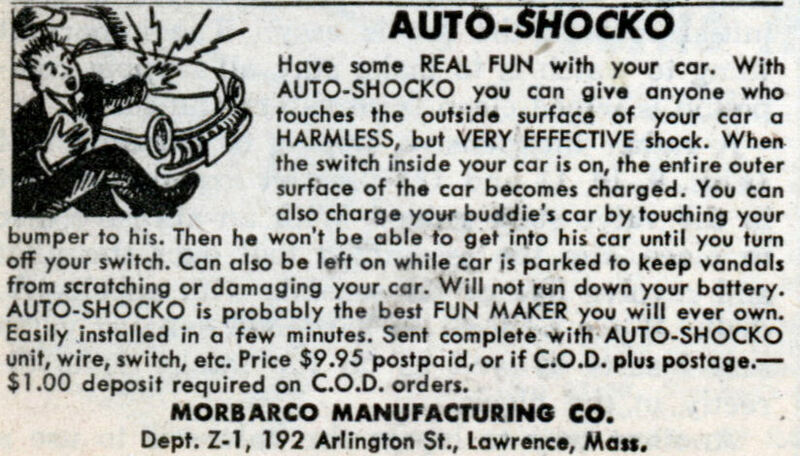 With AUTO-SHOCKO you can give anyone who touches the outside surface of your car a HARMLESS, but VERY EFFECTIVE shock. When the switch inside your car is on, the entire outer surface of the car becomes charged. You can also charge your buddies car by touching your bumper to his. Then he won’t be able to get into his car until you turn off your switch. Can also be left on while car is parked to keep vandals from scratching or damaging your car. Will not run down your battery. AUTO-SHOCKO is probably the best FUN MAKER you will ever own. Easily installed in a few minutes. Sent complete with AUTO-SHOCKO unit, wire, switch, etc. Price $9.95 postpaid, or if C.O.D. plus postage. â€” $1.00 deposit required on C.O.D. orders. Dept. Z-1, 192 Arlington St.. Lawrence. Mass. And it doesn’t run down your battery! That the man is clutching his chest is a nice touch.